This past fall, Autodesk collaborated on a project to realize a new design concept; all the way from idea to prototype fabrication. The result was Time Machine – an unorthodox, three-dimensional time-telling device. The Autodesk team included former CEO Carl Bass, industrial designer Arthur Harsuvanakit, and Lucas Prokopiak, a mechanical engineer. They were joined by LUNAR co-founders, Jeff Smith and Gerard Furbershaw, who brought decades of design expertise to the table. Together they set out to reconsider the classic, yet typically mundane clock design. From guiding their initial sketches all the way through manufacturing, Fusion 360 was not just the only software package they used for the entire project, but more like the sixth member of their team. After months of designing, prototyping, iterating, pulling their hair out, and finally producing a limited batch of twenty-five clocks, the efforts were rewarded. Time Machine received two awards from the Spark international design competition. Now that they’ve caught up on sleep, they are sharing this project and experiences as proof of what Fusion 360 can do for designers, engineers and fabricators who are looking to create the next generation of products. Pairing LUNAR and Arthur’s industrial design prowess with Carl’s astute product eye meant Time Machine wasn’t going to be just another design/fabricate sprint to put Fusion through its paces. Instead, every aspect of the design was carefully considered for today’s manufacturing methods. Harkening back to older mechanical clocks, Time Machine employs a fascinating mechanism to communicate time. This mechanism drives twelve wings as they each successively turn 180 degrees to denote five minute periods. These rotations alternate the outward facing color of the wings between dark and light. The result creates a striking representation of time – analogous to the daylight and nighttime of each day. To indicate hours, a ring of lights surrounds a cylindrical void in the center of the clock. As each hour passes, a new light segment is illuminated and the ring gradually grows to a completion throughout twelve hour periods. Its growth represents a half-day appearing and disappearing around a mysterious hole of nothingness. Like five-minute, one-hour and twelve-hour hourglasses, Time Machine visually and viscerally focuses both on how much time has passed and how much is left. Our team began by tossing around speculative clock designs before settling on Time Machine’s flipping wings motif. These initial meetings were aided by quick sketches, rough models, renderings, and animations in Fusion, not to mention 3D prints and other rapid prototypes to engage the team in discussions. Once the flipping concept was finalized, designing a low-profile, single actuator mechanism to drive the motion became the primary challenge for them. The iconic cylindrical void at the center of the clock made this challenge even greater. After extensive prototyping, they were able to come to what we thought was a clever solution. They used an off-center stepper motor interfacing with a custom-designed central gear featuring perpendicular teeth. These teeth intermittently rotate bevel gears attached to each of the individual wings. The central gear also incorporates a following feature that keeps the non-rotating wings in position. This ensures no curious fingers (or cat paws) can disrupt the clock’s flat face. After they came up with the concept and modeled it, they attempted to simulate the motion using joints and contact sets. They found Fusion struggled to smoothly solve such computationally-intense calculations. They then tried using motion links, motion studies, and in depth animations only for each to present their own difficulties. After hours of uncovering the limitations of these functionalities, they were able to work through the difficulties and create satisfactory results. Although the workflows weren’t perfect and they recognize this as a growth area for the software, it was great to create realistic moving simulations of the design. Once the mechanism was finalized, they began the arduous process of fabricating twenty-five individual clocks. They spent many late nights machining nineteen of the clock’s parts (times 25, need I remind you) out of aluminum on Haas CNC mills and lathes. While the CNCs were running, they were 3D printing the gears out of a lubricious, yet durable material, and waterjet cutting the base out of a slab of limestone. 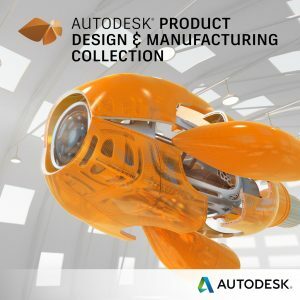 Each of these processes was directly driven by Fusion 360’s integrated manufacturing capabilities and were carried out in Autodesk’s Pier 9 Workshop. The ability to edit parts and automatically update toolpaths was a big time-saver for us, and once again we came away very impressed by the CAM workspace. After machining over 500 parts and sending them out for anodizing, we all got together to assemble each clock by hand in our San Francisco offices. Finally, to document the project, they used Fusion 360’s rendering workspace to create digital representations of the clock. These allowed us to share exploded views, to imagine the clock in different settings, and even to play around with surface finishes. After struggling with the difficulty of making motion studies, the hard work paid off once they went to render them. With the click of a button, they created a photorealistic movie to showcase how the clock functions (as you can see below). At Autodesk they are always trying to understand what their customers need when they use their software. By partnering closely with the LUNAR team and jumping directly into the role of product designers everywhere, they gained invaluable firsthand experience by witnessing where Fusion flourishes and, more importantly, where it must improve. 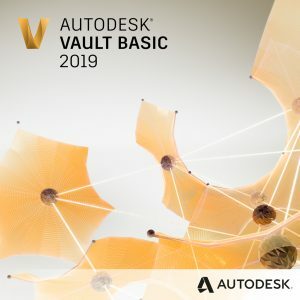 Over time they will incorporate these insights as they continue their goal of making Fusion 360 the premier Product Innovation Platform on the market. In the meantime, they hope award-winning-projects like Time Machine continue to inspire users to imagine, design and create better products for a better world. For more information, check out the project in the Fusion gallery post. If you just want to chat about clocks, feel free to reach out to lucas.prokopiak@autodesk.com and arthur.harsuvanakit@autodesk.com.